While submission of article this is authors understanding that the respected work has not been published anywhere else in any publication. While submission of manuscripts the author should be sure of the approval of another Co-author if any. *Dear author Microbioz Journals have no policies of fast track publication and does not invite any authors to pay for fast track publication. So submit your publication fee only after acceptance of manuscripts ready for Publication. *Dear author if you are unable to follow any of the instructions for submission or failed to complete Authorship certification/Plagiarism Certification while submission of manuscript, then Journal has full authority to reject your manuscript by following standard retractions guidelines (COPE) of the publishing process. This is an important part of the research manuscript which almost defines the whole research work. While writing the manuscript be sure that the title should be short and relevant for information purpose. It should contain the author’s and co- author’s present address and respective names depicting the superscript format of numbers. Author’s correspondence address along with E-mail ID,Telephone Number,Fax should also be mentioned. Without an “Abstract” manuscript will not be considered complete. It should be self-contained and not more than 250 words. The abstract must be written in a concise format and summarize the whole research article, including Introduction, Materials & Methods, Results, Discussion, Conclusion and References. Don’t enter more than 5 or less than 3 key words. Do not mention any sub headings. Write all introductory information about manuscript. Introduction should be brief and self contained which defines the main objective of Research work. Please do not write Review of literature or any common headings like conclusion or result information etc. This section contains all the details about different methods used during the experiment and it can be divided under headings or subheadings. All methods require entering proper reference if any,and then justify it’s procedures in detail. In case methods include any experiment related to human then proper justification through proper indications (that followed the standard ethical guidelines or government rules and instructions of the country related to the experiment) should be given. This section may be descriptive and further can be divided by headings or subheadings. Results should be written in concise format not descriptive( be sure that it doesn’t define all the data and details again in text form separately,but rather all the result must be in clear form.) Discussion must include and define the importance of research work.Don’t revise results section again in discussion. The conclusion should be well explained regarding research work as well as the importance of the work. This should contain supportive information, heading describing the last phase of manuscript just before the references. Authors are fully responsible for accuracy and the complete manuscripts as well. All references must be numbered consecutively and citations of references in the text should be identified using numbers in square brackets (e.g., “as discussed by Smith ”; “as discussed elsewhere [9, 10]”). All references should be cited within the text; otherwise, these references will be automatically removed. All the authors are requested to justify the links or DOIs of the respective Journal while writing references of online Journals or web sources . References must be in APA format. All authors are requested to submit high quality/ HD resolution images for better quality. While submitting any experimental images (ELISA/RIA/PCR/centrifuge/HPLC/Bacterial Staining, Colo,etc) authors are requested to submit a colored photograph. The format of Images must be in jpg/TIFF not in png or in GIF format. Tables should be designed in a simple way with clear text. Dear authors , make sure that tables should not be submitted in any image format. Proof of paper format and prints: A proof of format of publication of papers (Published online first)will be sent to the corresponding author . 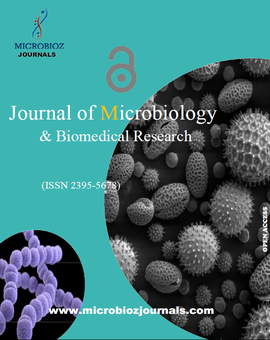 Page proofs are considered to be the final version of the manuscript.Microbioz Journals is an open access journal so author can access it free of cost and print number of the pdf version of his/her manuscripts. This is one of the important parts of submission of manuscripts. Many authors simply copy data and details from other published manuscripts and submit it for publication. This is a dreadful behavior in the world of research and academics, so I request all of the authors be sure that you are going to submit Research works/Data/Details prepared under your guidance and ownerships before submission of manuscripts .Microbioz Journal will not be responsible for any such action or Plagiarism problems. All the authors are requested to provide well signed proof of reading/Copy right form as a proof of his/her Manuscripts going to be published in Microbioz Journals. After acceptance of paper suitable for publication an acceptance letter will be sent to the respected author,along with further details of fee of article processing( As given in Payment Instructions). Processing fee covers Peer review/Indexing/Maintenance and Digital Preservation of Article. 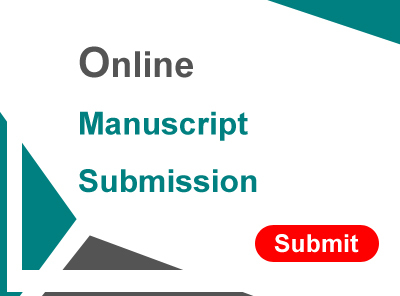 *While submission of papers, authors are requested to match their manuscripts with a Journal Template as given in Step 1 section of Manuscripts Submission. *An acceptance letter will be sent only after successful completion of the review process and the final decision made by our specific editorial board members and supporters.Acceptance or Review process may take 5 to 6 weeks minimum.